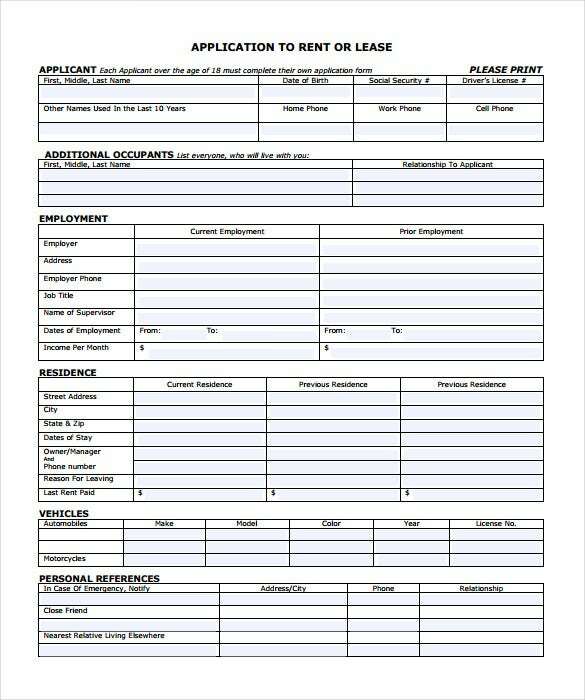 Rental Application – 18+ Free Word, PDF Documents Download! Rental applications, as the name suggests, are used by tenants to apply for rent to a landowner. 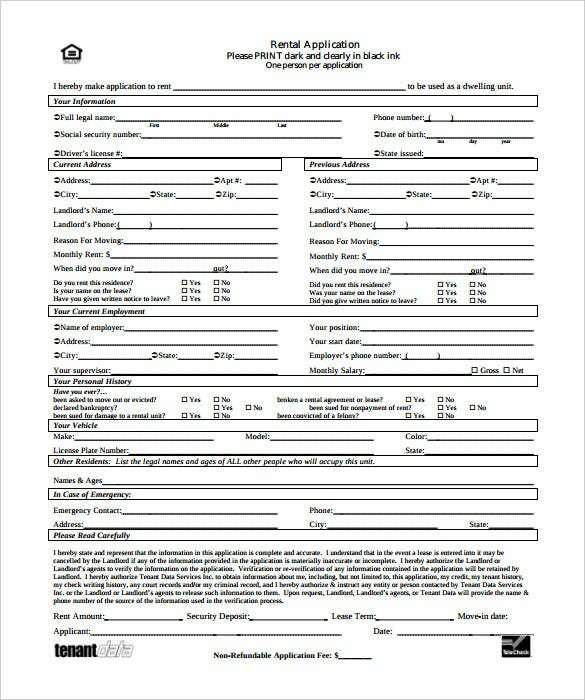 These application templates are mostly in the form of an application form which all adult tenants must fill before applying for rent. 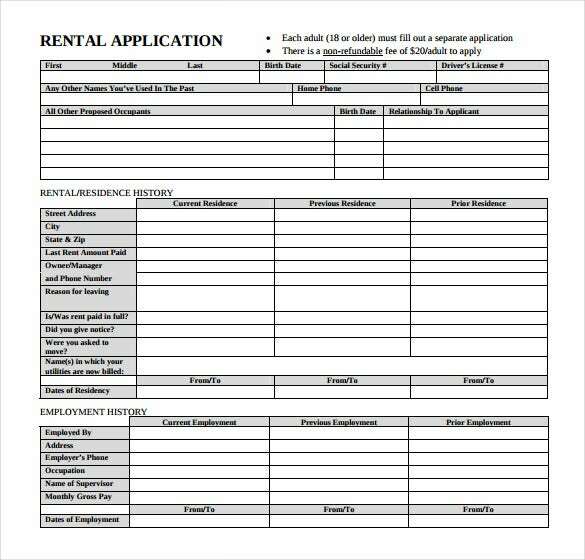 These rental application forms are mostly designed in Microsoft Word or a non-editable PDF format. 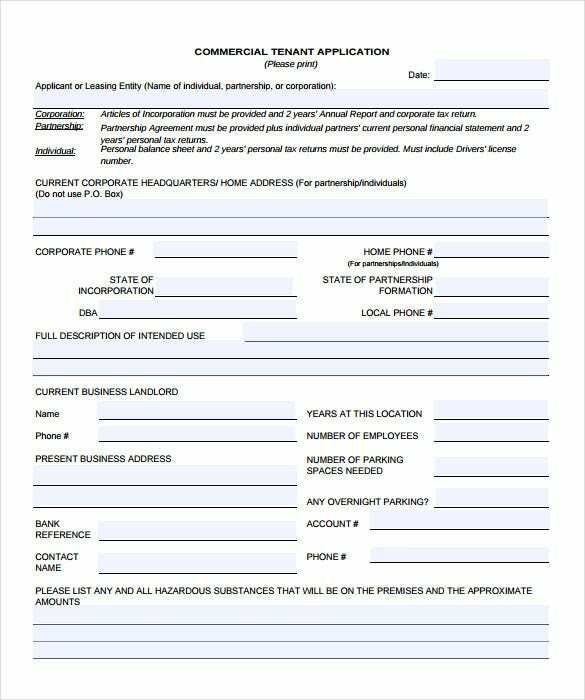 These application forms are mostly filled on an individual basis, and are the main source of information on the tenants staying in his property. 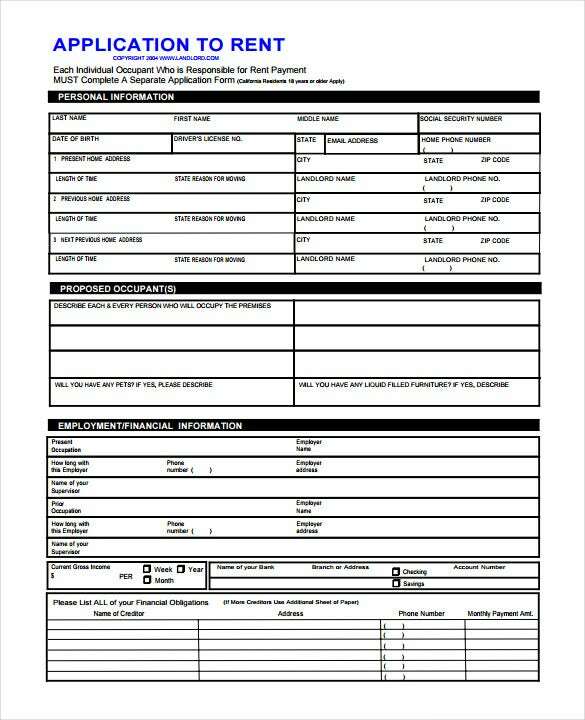 The rental application form is nothing but a general KYC kind of a form which each member of the tenant family must fill to apply for rent on someone else’s property. 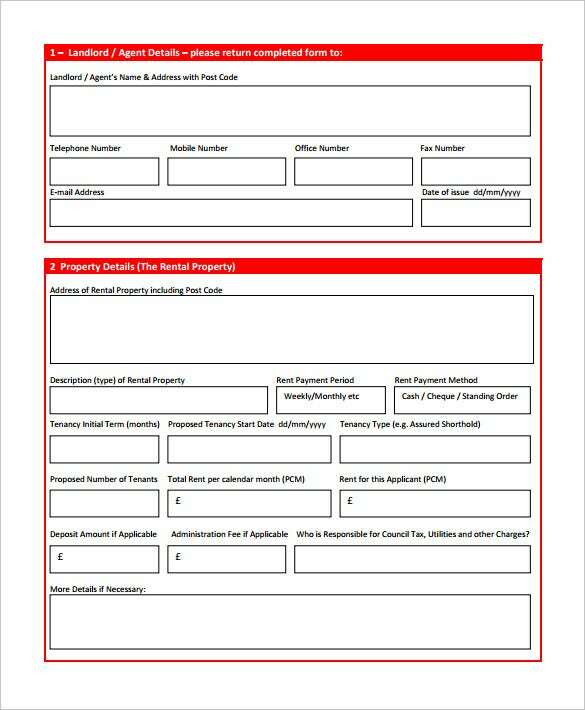 Ideally, these forms have the identity proof information of the tenant along with attested copies of the proof certificates. 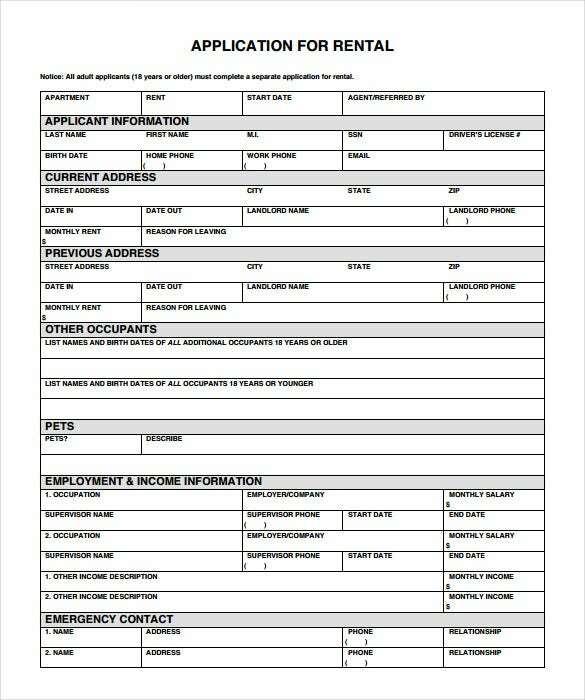 The rent application forms are mostly created using PDF or Word. Apartment rental applications are more or less the same as normal rental applications with the difference of necessary information required by the apartment’s security committee. 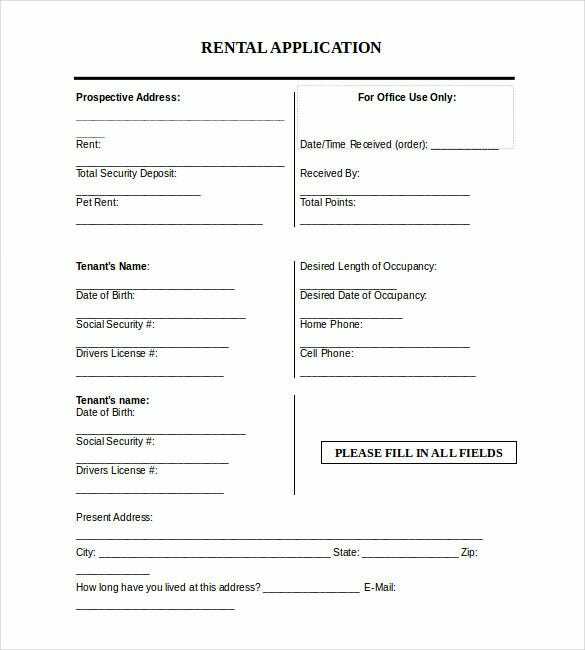 These rental applications are also designed in the form of Word or PDF, and contains information on the personal identity of the tenants like the social security number etc. These are rental applications for standalone houses, and contain mostly the terms and conditions as designed by the owner of the house. 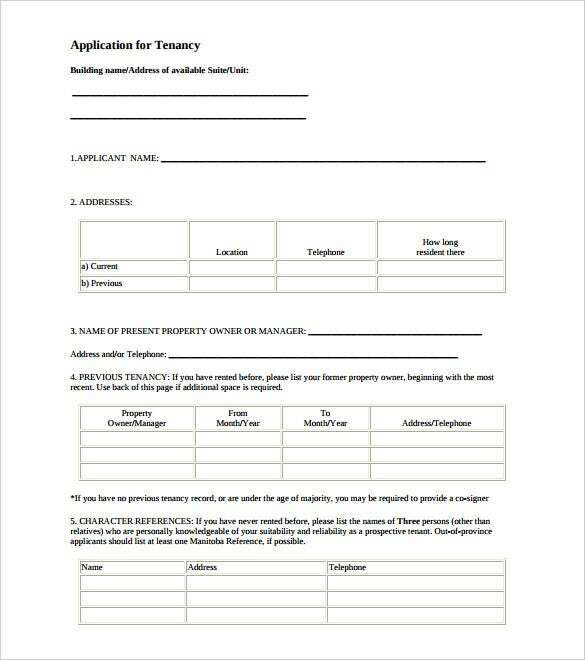 These rental applications are created using Microsoft Word or PDF and have customisable information depending upon the choice of the owner of the house. The owner may also add certain terms and conditions as well. Residential rental applications are mostly synonymous as house rental application, with the exception that such applications are mostly used in flats in an apartment. 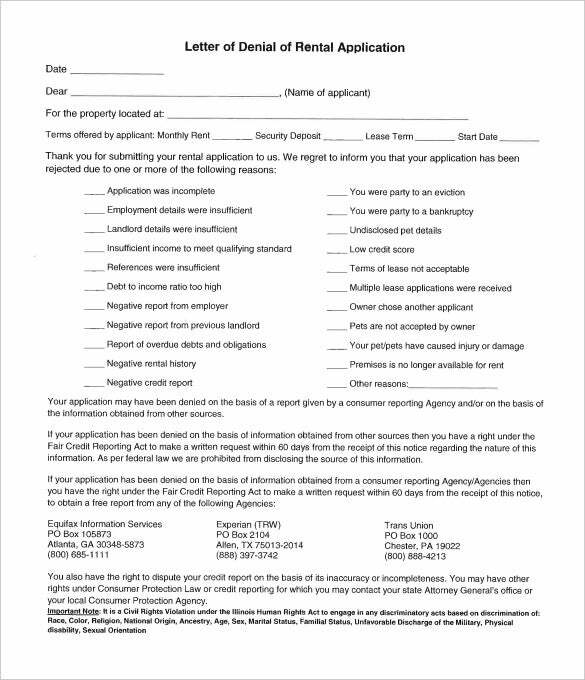 These application templates focus more on security implications of the rental agreement and therefore may contain multiple identity information. These applications are designed using Word or PDF format. The format and the fields of rental applications differ from places to places and the nature of the rental agreement. However, there is certain information which is common and generic to all rental applications. These are present in the generic rental applications and mostly contain basic fields such as tenant information, background information, identity information etc. These are mostly designed using Word or PDF format. Basic rental applications are same as that of generic rental applications, and mostly contain the basic tenant information and other details which form a part of any of the rental applications irrespective of the nature of the agreement. These rental applications are designed using Microsoft Word or PDF format which are then customized as per specific rental agreements. Rental agreement applications invariably contain more detailed information on the terms and conditions of the rental agreement, in addition to the tenant information and the identity proof information. These applications are mostly designed using Microsoft Word or PDF and contain information such as duration of stay, rental fees and other related information. 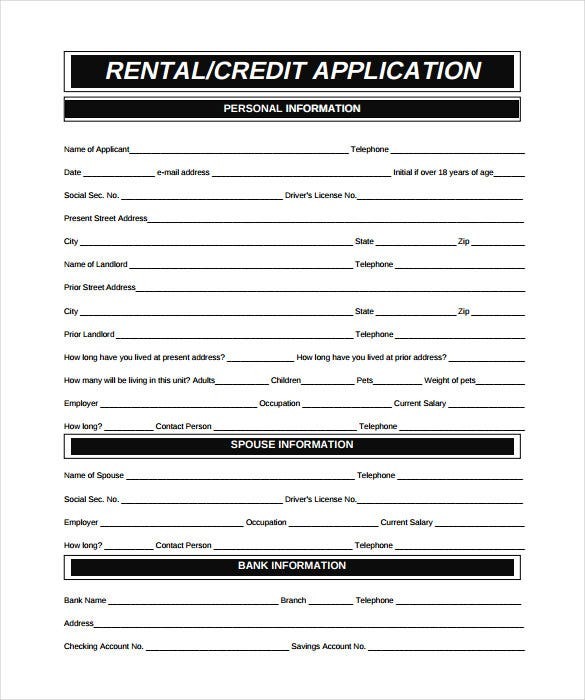 Rental credit applications are those wherein in addition to the basic tenant information, in depth information on the credit references as well as credit information are required as well. Such applications add on to the security of the rental agreement in a way all the credit references are cross-checked before finalizing a deal. These applications are designed using Microsoft Word or PDF format. 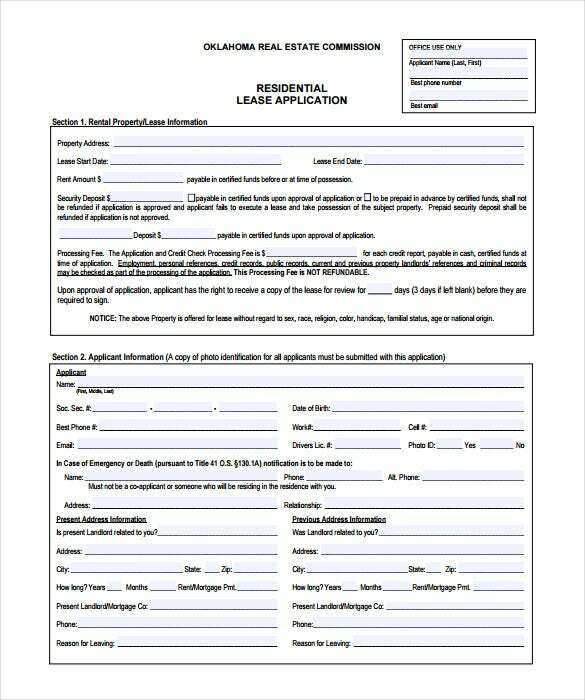 A rental lease application encompasses rental residential application or lease application for commercial usage. In case of residential applications, the format remains mostly the same as the case with any other residential rent agreements. However, for commercial usage, these application templates, designed in PDF or Microsoft Word, has in depth information on the firm and its past history. 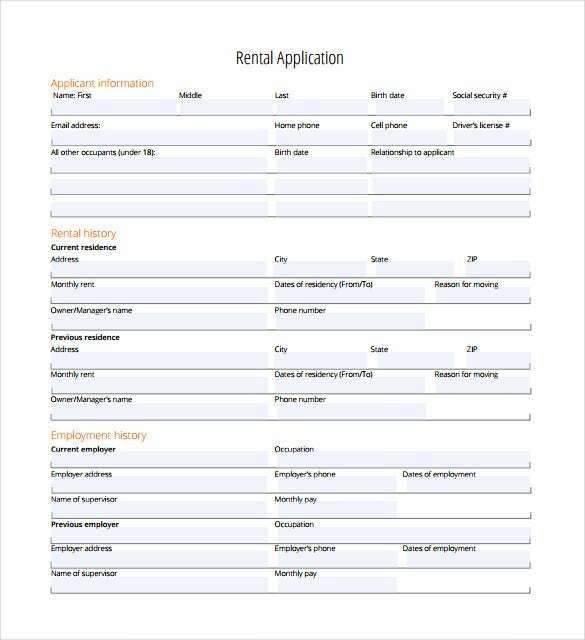 Simple rental application, also known as basic rental application, is the most used application format for general renting of residential houses and apartments. These application templates are mostly created out of Microsoft Word or PDF format, and contain the basic information on the tenant and the other terms and conditions of the contract. 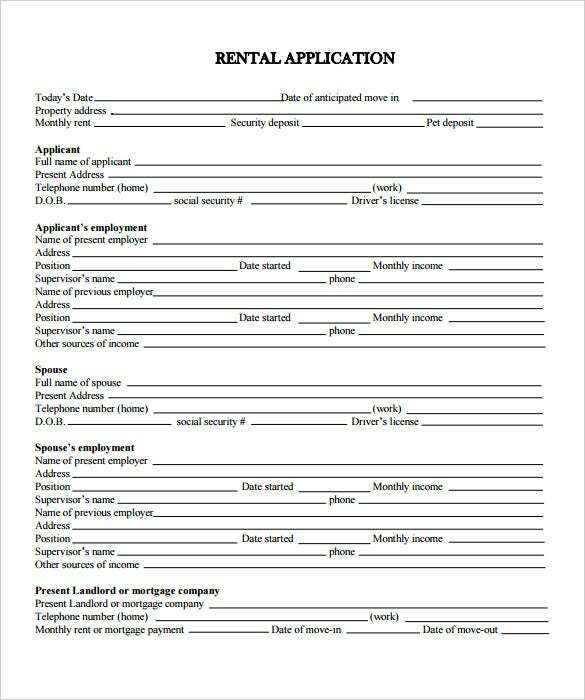 Blank rental applications are mostly used by independent house owners to rent out their property such they can cater the application form as per their preferred format. 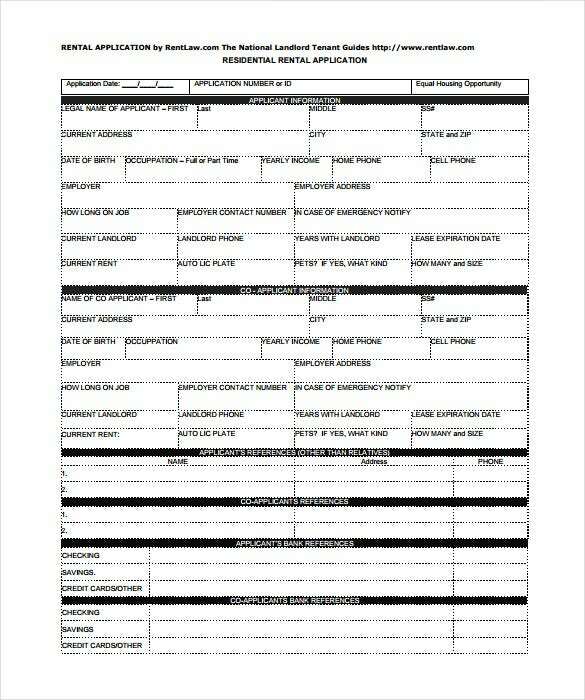 Such application forms are ideally signed off by both the parties after mentioning the agreed terms and conditions. These are mostly designed in Word or PDF format. As the name suggests, rental property application need not be related to residential tenants. It could also be related to renting out a shop. Therefore, depending upon the nature and the complications associated to renting of the property rented out, these property rent applications are designed either using Microsoft Word or in PDF format. Commercial rental applications and agreements are a lot more complex as compared to residential rental agreements. These applications are mostly carved out in Microsoft Word/Excel or a PDF format and have in depth information about the commercial player to whom the property is rented as well as the detailed terms and conditions as to the number of employees, nature or work etc. Unlike residential houses, there are places where in a room is rented to any tenant. 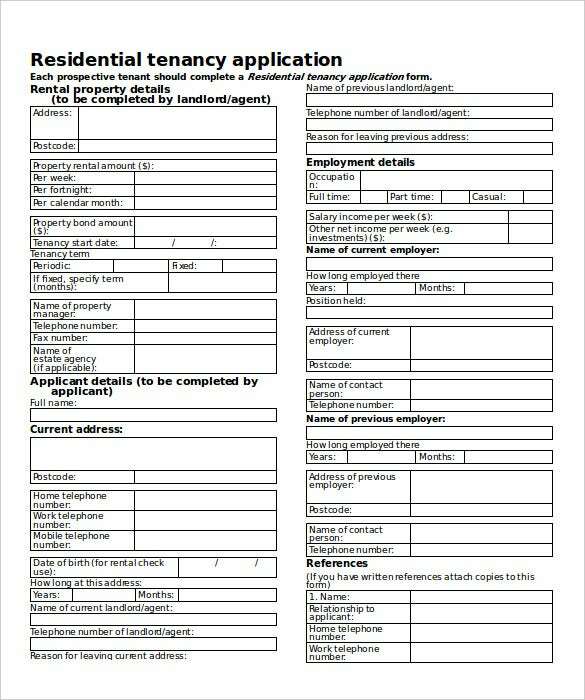 These application forms generally has information on the tenant and the clauses of the rent agreement such as number of rooms rented, rental fees, advance taken and others. These rental templates are designed using Word or PDF format. Credit checks are mostly done on tenants when the valuation of the property rented out is high. These checks involve cross checking the authenticity of the tenant from the references provided by the tenant. 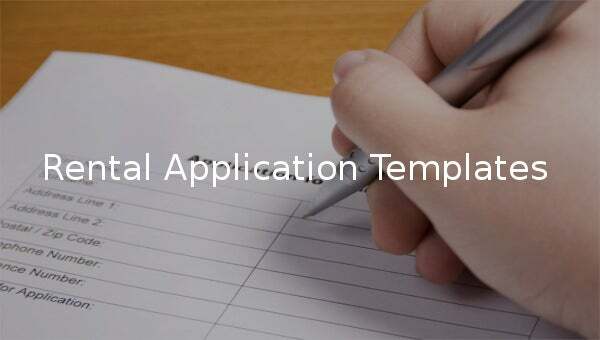 These applications are mostly in Word or PDF, and contain fields where in the tenant has to enter references information along with their contact details. Landlord rental applications are basic rental application templates which are then customized as per the needs and demand of the landlord. 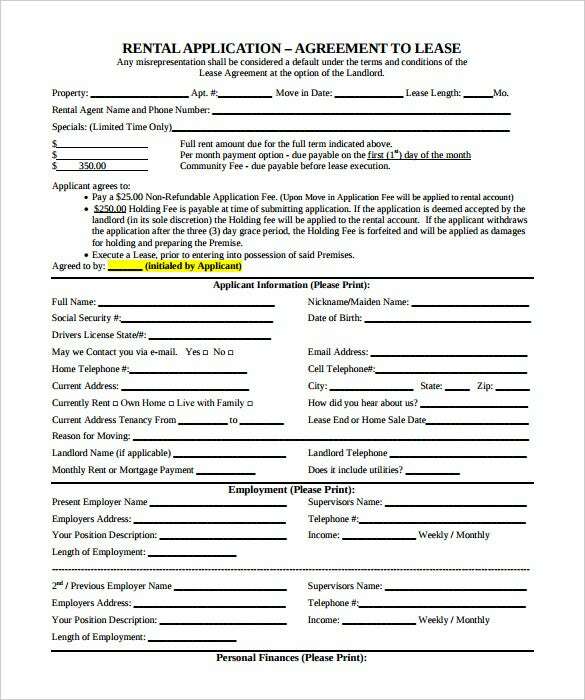 These rental application templates are designed using Microsoft Word or PDF, and contain the basic tenant information fields plus the terms and conditions or the other reference fields added by the landlord himself. General rental application, also known as generic rental application, are mostly used by owners who wish to customize the terms and conditions, or the other information (apart from the basic tenant information) which needs to be included as a part of the application form. 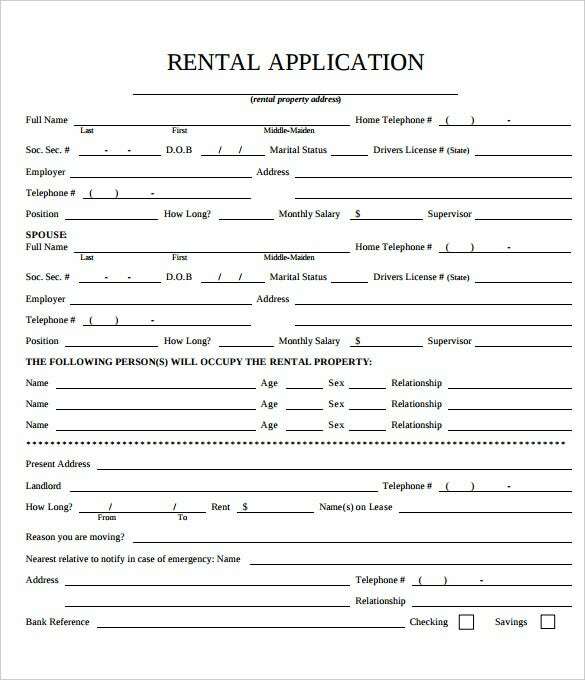 These rental applications are created using Microsoft Word or PDF format. The rental application denial letter is nothing but an intimation letter sent by the landlord in the form of Microsoft Word. The denial letter conveys the message to the tenants that their rental application forms has not been approved, highlighting the reasons of the rejection of their rental candidature in a fair and legal manner.